A student pastor is a leader of teams. This is true in every context and in every church size. Sure, there are some “Lone Ranger” type student pastors out there that want to do everything on their own but they usually don’t last long and they aren’t doing true biblical ministry. Just as the Christian life is meant to be lived together in community, ministry is meant to be done together…in community. Ephesians 4:12 is a clear explanation of the role of the pastor: to develop people to do the work of the ministry. Once you have done this one time you have a team. As you continue to develop people, your team will grow. The speed of growth in your team, both in depth and number of people, will depend on your context. The important thing to note here is that while the speed of growth in your team is contextual, the growth of your ministry will always follow the growth of your team. The more you develop and grow your team, the more growth potential you will have in the ministry. 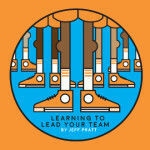 This week on the blog we are going to focus on some important aspects of team leadership. Today, I want to set the stage for you by walking through some of the teams that you should consider building in your ministry. 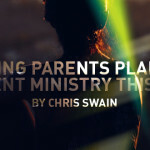 Parents – the level of influence in the ministry that you give this team is up to you, but an effective student ministry will always have parents involved in more than just dropping their students off at the church. Sometimes this will look like a leadership team that actually helps you guide and direct the student ministry, while at other times it may be a group of parents that you bounce ideas off of, and still others it may be a group that you meet and pray with. Again, level of influence here is up to you. 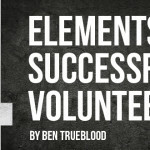 Volunteers – this group is the lifeblood of the student ministry. Parents are a great place to start building this team, but don’t be confined to just that group. This team of volunteers will be small group leaders, hamburger grillers, organizers, postcard writers, baptism helpers, decision counselors, and a whole host of other things. Chances are, you have a couple of people that fulfill many of the tasks listed above. While that’s ok in the short term it will also burn people out quickly. Work hard to keep recruiting new people to help spread the responsibilities around. Short term, simple jobs are a great way to test out a volunteer to see if they are fit for a more involved role in the ministry. Staff – some churches will have multiple staff members on the student team, but even if you don’t you are still part of a church staff. Understanding the role you play on the greater church staff team (even if it just 2 or 3 people) is an important part of being a leader. Students – organizing students into leadership and ministry teams has been one of the best things I’ve ever done in ministry. 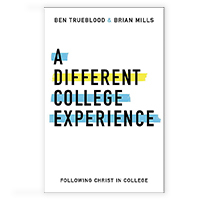 It allowed me to spend focused time with a group of students and allowed them to exercise their gifts and passions by serving their peers in the student ministry. 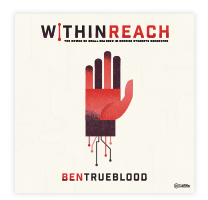 If a student has an idea for ministry help them organize it and use one of your volunteers to help them execute, or walk with them through it yourself. This decision would be based on how many students are launching ministry initiatives. Remember, the more you add to your schedule. the less time you have to spend doing other things. Make sure you make your minutes count. Family – your family is the most important team you have and like any other team it takes time and effort for it to be a healthy one. Lead your children (if applicable) as well as your ministry. Make sure your family still gets great energy and focus from you. If you come in the house each day “used up” from the ministry, then your family team is going to suffer. Community – this is a group of people from the community that you are building relationships with in order to reach students. They may or may not be followers of Jesus, which could mean more ministry opportunities for you. In a recent podcast with Brian Mills, he made a statement that speaks to this very thing. He mentioned being a “student pastor to the community rather than being a student pastor in the community.” The difference is huge here when you consider how you view your role. A student pastor to the community will seek out people to partner with: coaches, teachers, faculty, community leaders, other student pastors, and so on so that you can reach as many students as possible. Without this team of people, or even a misplaced view of your role in community, your effectiveness will be limited. A student pastor is a leader of teams. Without these teams you will be in for a difficult journey. With these teams the journey may still be difficult at times but there will be others to share the burden with you. Take a look at your calendar for the next couple of weeks. Your calendar will reveal what you consider to be the most important things you can do in your role. 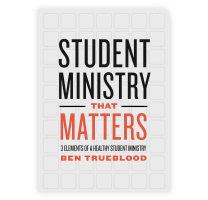 How much time do you have devoted to growing and developing your student ministry team?